Grab some fresh zucchini from your garden, the farmstand or your grocery store! These Zucchini Banana Bars are begging to be made. And don’t forget to top them with the creamy cinnamon glaze! It’s true, I love baked goods with zucchini. Just two days ago I shared this Chocolate Zucchini Bundt Cake. 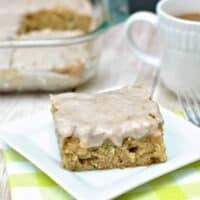 And I couldn’t wait to share these Banana bars too! So here they are, just for you! Last week as I headed home with my oldest daughter from her swim practice we stopped at a big farmer’s market in the area. There is something so “local” about being at a farmer’s market. I seriously had to stop myself from buying more fruits and veggies than I needed. And my family eats a lot, but I just go crazy seeing all the fresh local food. We also splurged and enjoyed some fresh, homemade empanadas. O. M. G. These were amazing, and now we can’t wait until next Saturday to buy more! Worth the extra drive for those $2 fried empanadas. Seriously. Not sure what that story had to do with these bars today, especially since I didn’t even buy any zucchini while I was there!?! These Zucchini Banana Bars were made with the rest of the giant zucchini my friend Kim gave me. It had to be done. 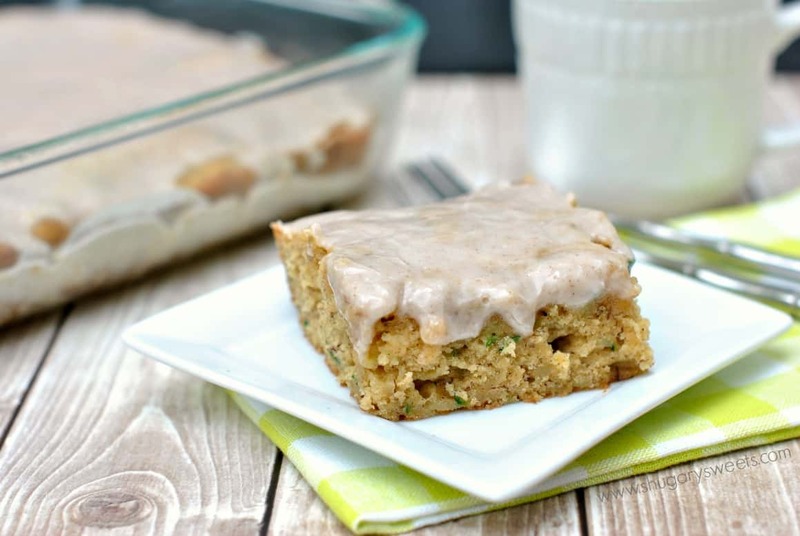 I was planning on making these Cinnamon frosted zucchini bars, but when I saw the overripe bananas on my counter I knew I had to alter the recipe. In addition to the banana, I also baked these in a 13×9 instead of a jelly roll pan. Made them a little “cake” like, with their thicker texture. I shared these with some neighbors and couldn’t decide if I wanted a slice of the Chocolate Zucchini Cake or these….so I had both. Good call, right? In a large mixing bowl, beat butter with sugar, egg and vanilla. Add in bananas, and mix until mashed (I use the beater blade on my electric mixer). Add flour, baking powder, soda, salt, cinnamon, and nutmeg. Beat until combined (about 1-2 minutes). Fold in zucchini. Pour batter into a 13x9 baking pan that has been sprayed with non-stick baking spray. Bake in a 350 degree oven for 25-30 minutes (until edges brown and pull from sides). For the glaze, whisk together the sugar, cinnamon and milk until smooth. Pour over cooled cake. Store loosely covered for up to 3 days at room temperature. 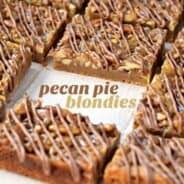 I love desserts made in a bar form. No repeated batches, just one delicious cookie/brownie bar to enjoy quickly! 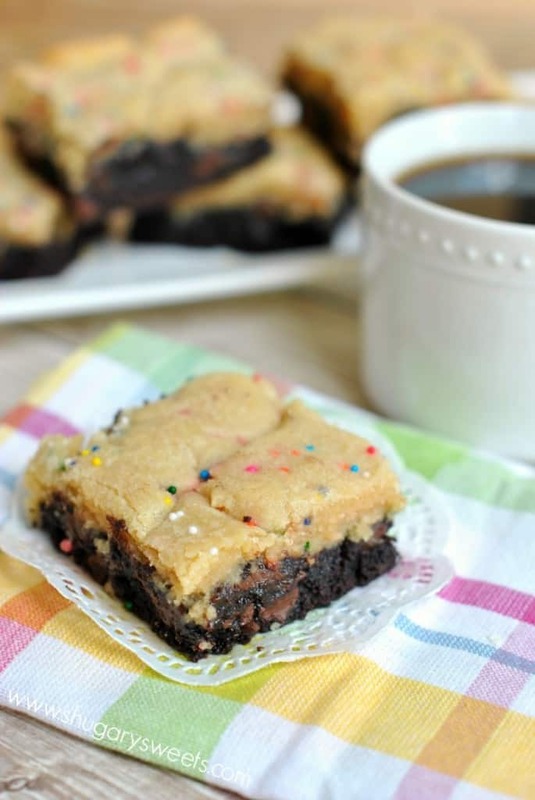 Sugar Brookies: chocolate brownie with sugar cookie topping! 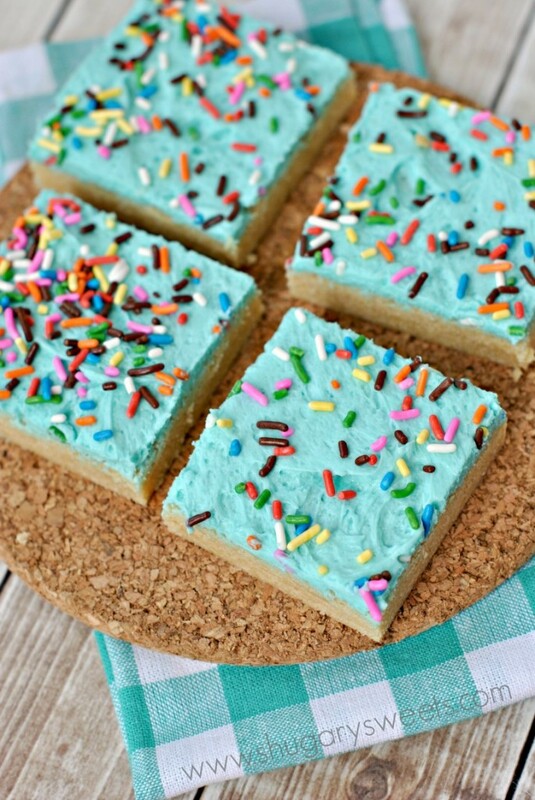 Frosted Sugar Cookie Bars: chewy cookies with a sweet frosting! 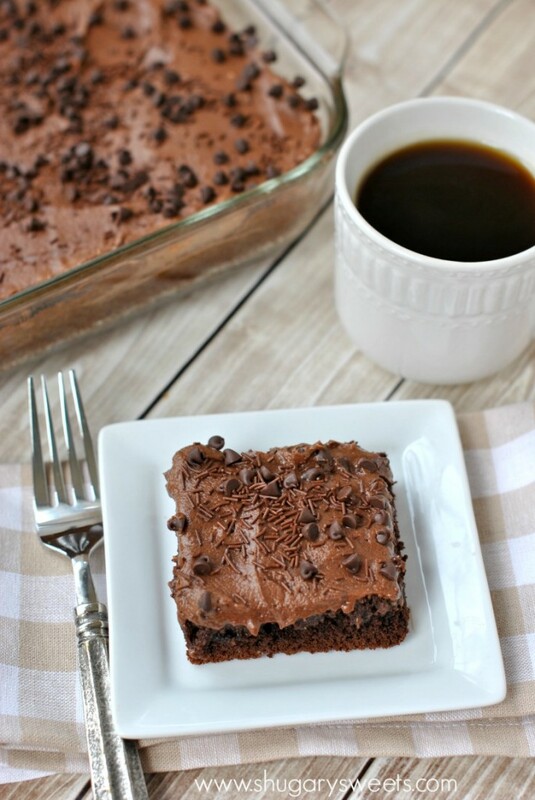 Frosted Gooey Chocolate Cake Bars: as good as it sounds! 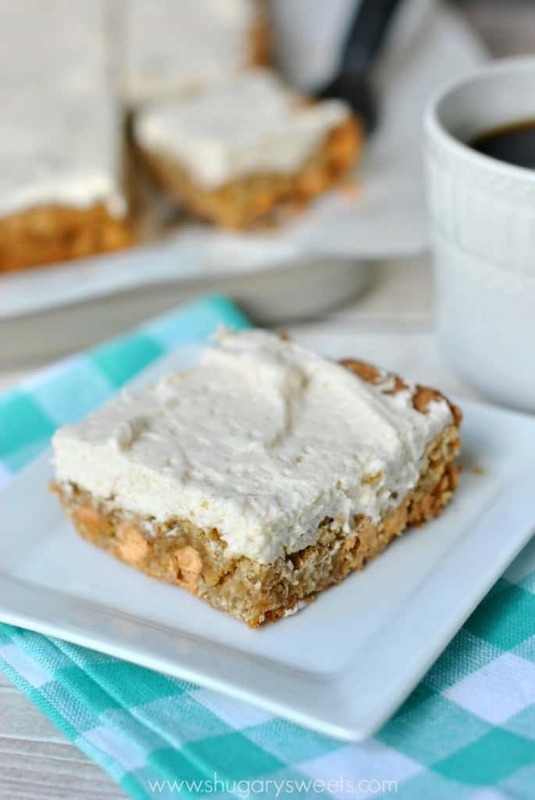 Oatmeal Scotchie Bars: your favorite butterscotch cookie with FROSTING! Follow Shugary Sweets’s board Zucchini on Pinterest. Those look fabulous! Great way to use up zucchini. 🙂 Pinned! I love baking with Zucchini. They’re so moist and you feel less guilty eating lots of cake and slice! I totally do that at farmer’s markets too! And then it all goes bad before I can use it. I’m so sad we don’t have zucchini plants this year. These look SO good! They are indeed magical treats…and healthy too right? Fruit and veggie bars is what I should have called them! Ha! I like that you used in the cinnamon oin the glaze, give it a nice flavor. I have seen so many zucchini and banana breads, but never in bars! That sounds incredible! The warm spices combined with the summer veggie is surprisingly addictive. Pinning these! I would also travel for good empanadas! Especially if they’re at a farmer’s market! These are great! So thick and tempting! 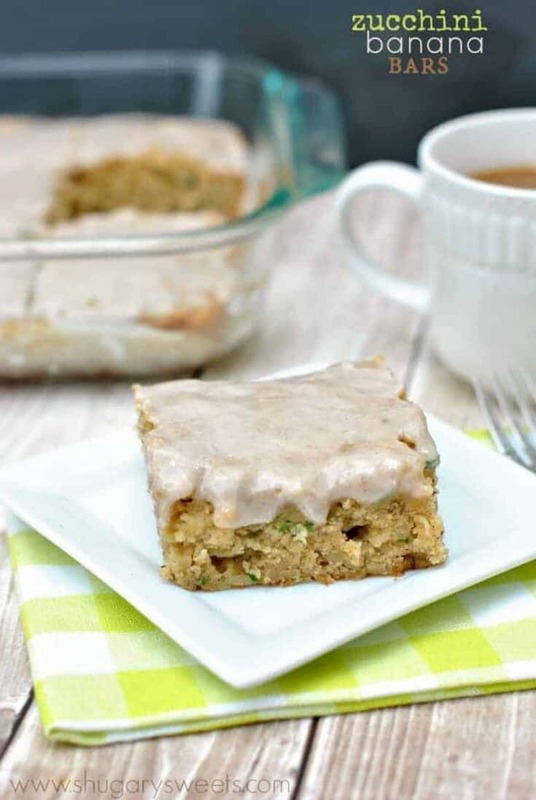 these zucchini bars look so delicious and SO moist.. definitely craving one right now! I’m lovin’ all these zucchini recipes! Pairing zucchini with the banana sounds like a fantastic combination! Love the zucchini/banana combo! I could most likely eat the whole pan. These look amazing! I need to buy zucchini stat! Do you think whole wheat flour would change the recipe much? It definitely would change it. Maybe try only subbing half of the flour for whole wheat? I can’t believe these have zucchini in them – they look delicious! Thanks Jess 🙂 Amazing that zucchini is so versatile in delicious treats too. I’ve been making all things zucchini too lately! Love the addition of banana in here. Pinned! I love that you added banana. These are going to be so moist and delicious plus they are fruit and veggies. What could be better. 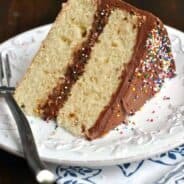 Great zucchini cake recipes! Farmers’ markets are so fun! With bananas AND zucchini, they can’t possibly be bad for you 🙂 Love these!! I’ve made zucchini bread and a zucchini cake, but I’ve never thought to combine them with bananas. Love this! Ooh, freshly made empanadas! Where is this market again – I think I might be there next Saturday, too! That’s something I’d love to try making myself. As for these bars, I love your ideas as to how to use zucchini in baked things. I tried making some healthy zucchini muffins a week or two ago and they were just about the worst thing I’d ever made. I think the banana in these would work a treat! A slice of both zucchini treats sounds perfect to me!! Love that cinnamon glaze on top!!! Yum! What an interesting flavor combination! I love it! Love the sound of these! 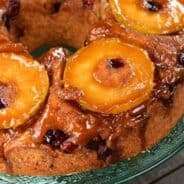 Do you think it would be possible to make these without adding the sugar, since the bananas would make them sweeter already? Or would that change the texture to much? I really oughta start baking with zucchini more — all of these zucchini recipes you’ve been posting look so sinful and delicious! 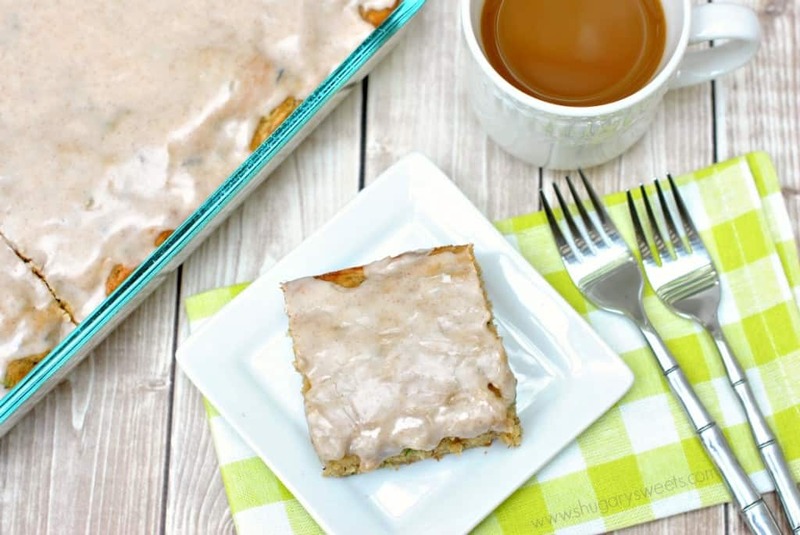 ESPECIALLY these banana bars — obsessing over the glaze!